Transfer to Seattle Airport for your flight to Toronto (flight not included in land only bookings. Book flight after 12.30pm). On arrival at Toronto Airport you will be met and transferred to your hotel. 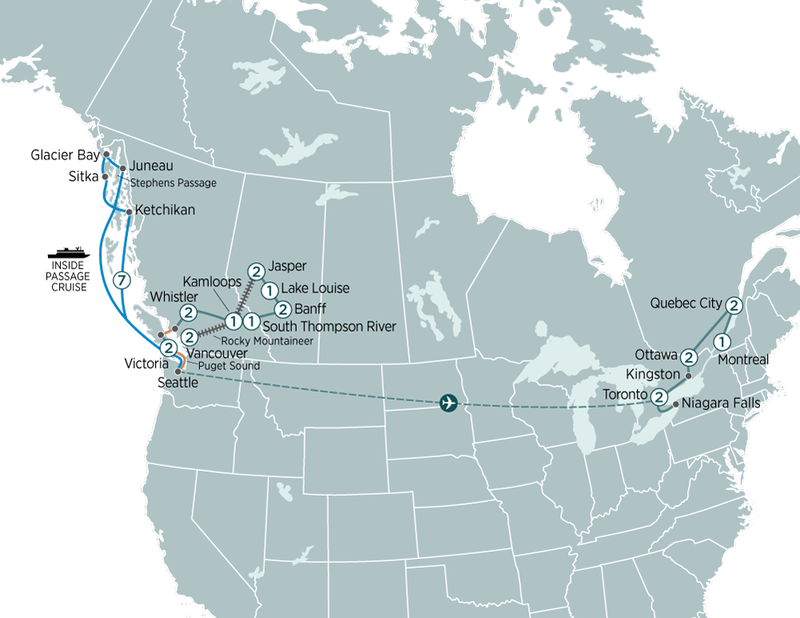 This journey will take you through the spectacular Rocky Mountains, Banff National Park, Alaska's infamous Inside Passage, Niagara Falls, Québec & more!